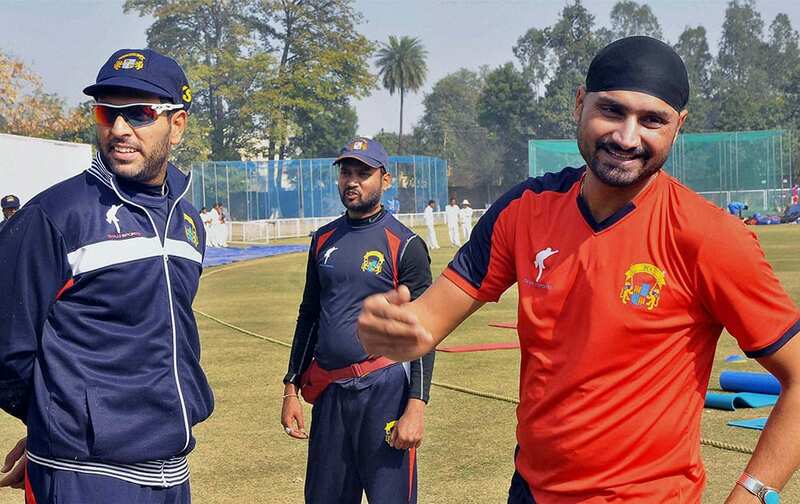 Cricketers Harbhajan Singh and Yuvraj Singh at a practice session. 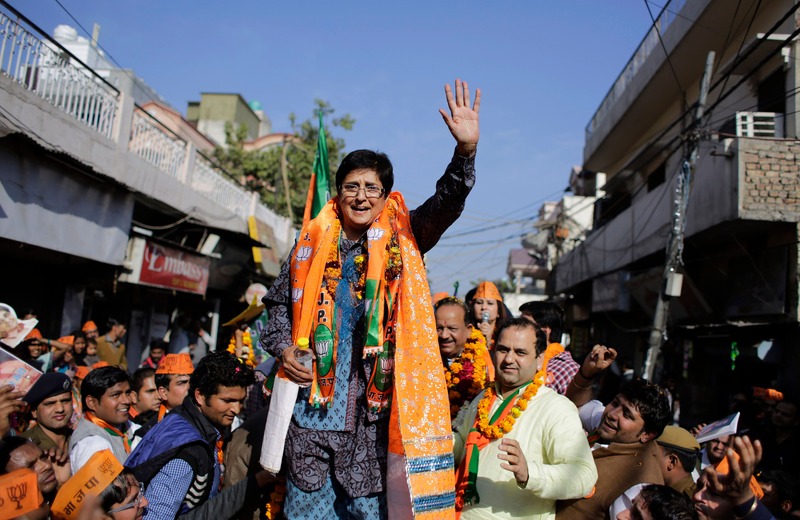 Bharatiya Janata Party (BJP) chief ministerial candidate Kiran Bedi waves to supporters during an election campaign rally ahead of Delhi state election in New Delhi. Aam Aadmi Party leader Arvind Kejriwal, campaigns ahead of Delhi state elections in New Delhi. 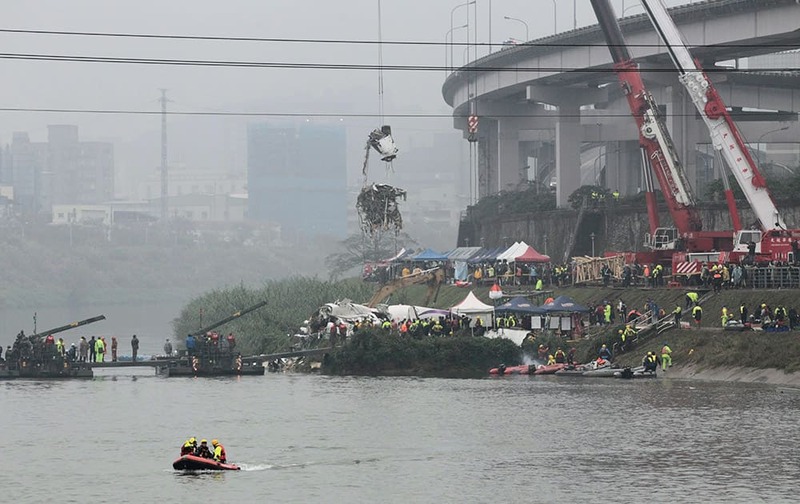 A crane lifts parts of wreckage at the site of a commercial plane crash in Taipei, Taiwan. 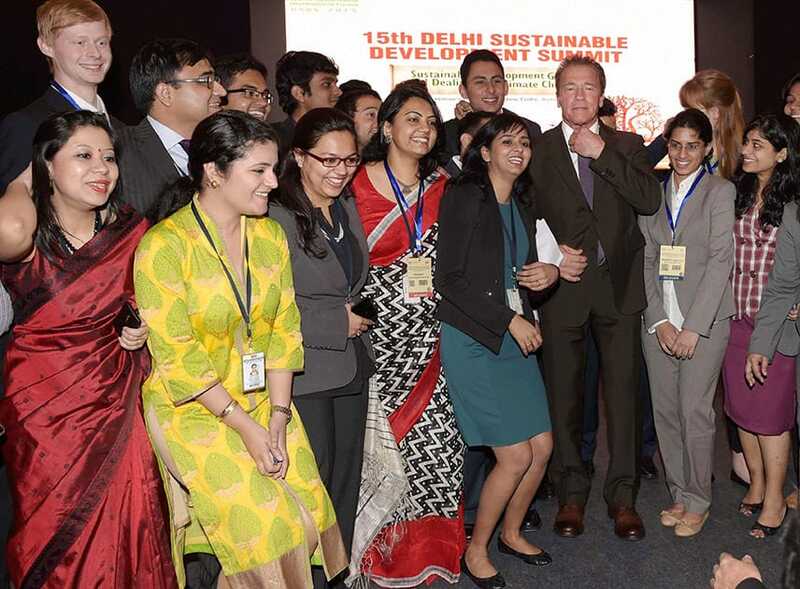 Actor and former Governor of California Arnold Schwarzenegger with students during the 15th Delhi Sustainable Development Summit in New Delhi. 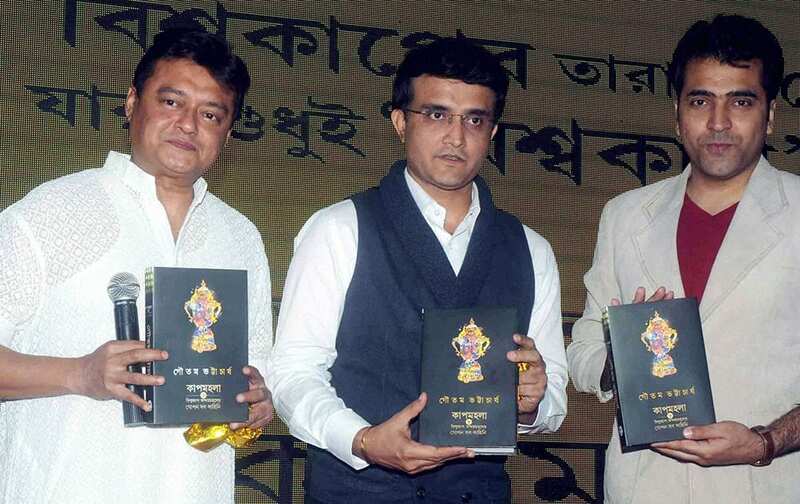 Former Indian cricket team captain Sourav Ganguly release the book Cupmohala- Untlod Dressing Room Stories of author Gautam Bhattacharjee with actors Saswata Chatterjee(L) and Abir Chatterjee. 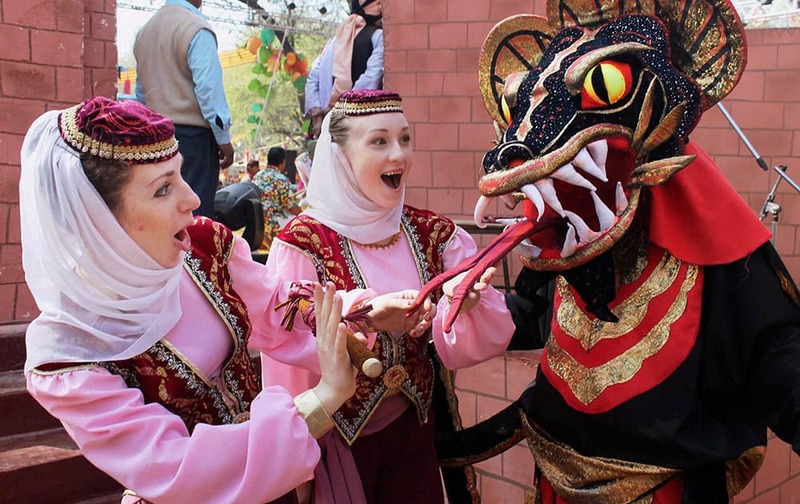 Folk artists at Surajkund International Crafts Mela in Faridabad. Napolis Kalidou Koulibaly and Inter of Milans George Puscas vie for the ball during their Italian Cup quarter final soccer match in Naples, Italy. 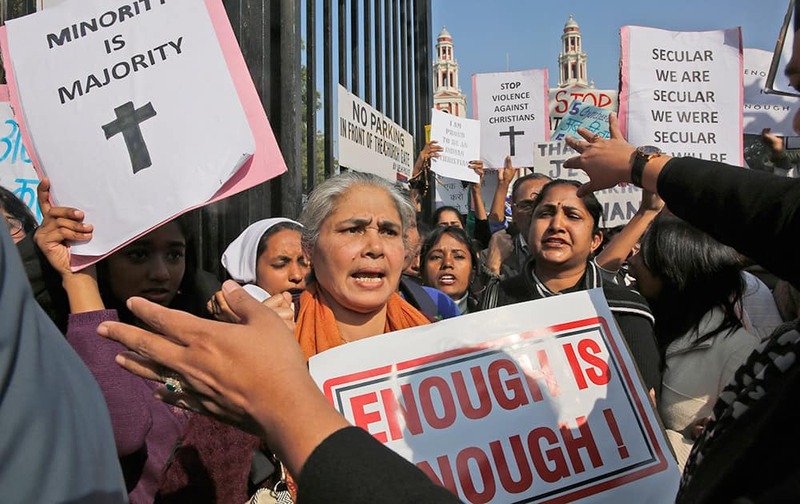 Christians hold placards protesting against recent attacks on churches in the Indian capital as they assemble outside the Sacred Heart Church in New Delhi. 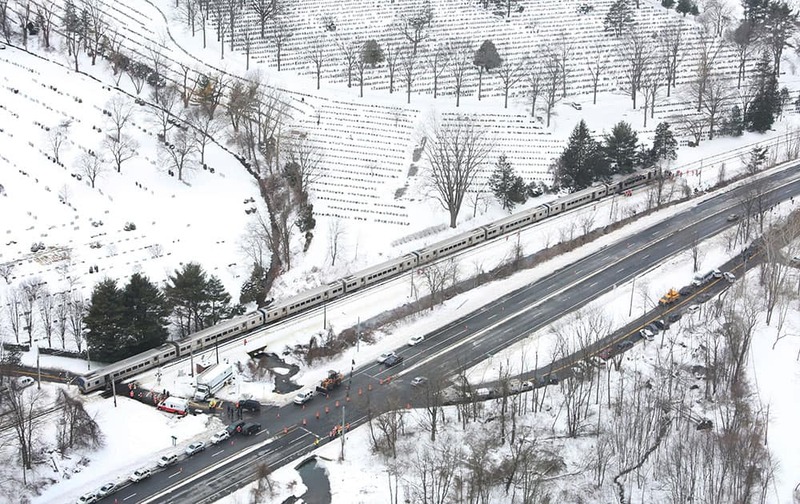 In this aerial photo, a Metro-North Railroad commuter train remains on the tracks in Valhalla, N.Y., after being involved in a deadly SUV and commuter train accident. 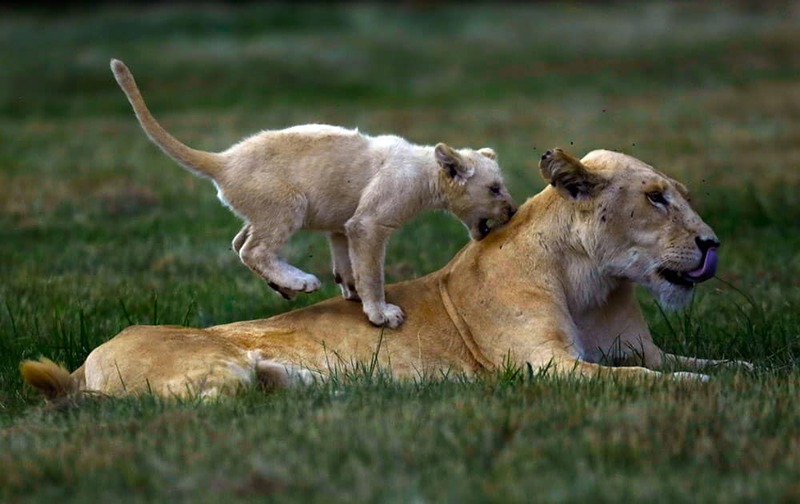 A young lion cub plays with a female lion at the Lion Park outside Johannesburg, South Africa. Sgt. 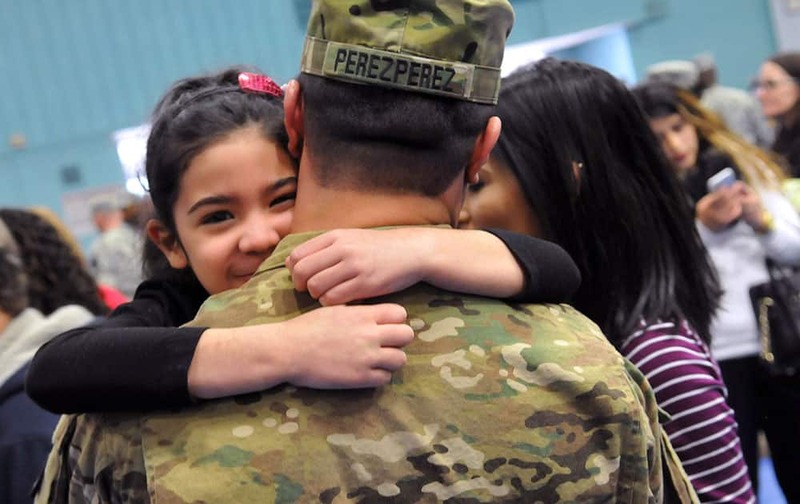 Angel Perez Perez hugs his daughter Katelyn, 3, during a deployment ceremony at Fort Lee, Va. Troops from the Army's 54th Quartmaster Company are set to deploy to Afghanistan and Kuwait for six months later this week. 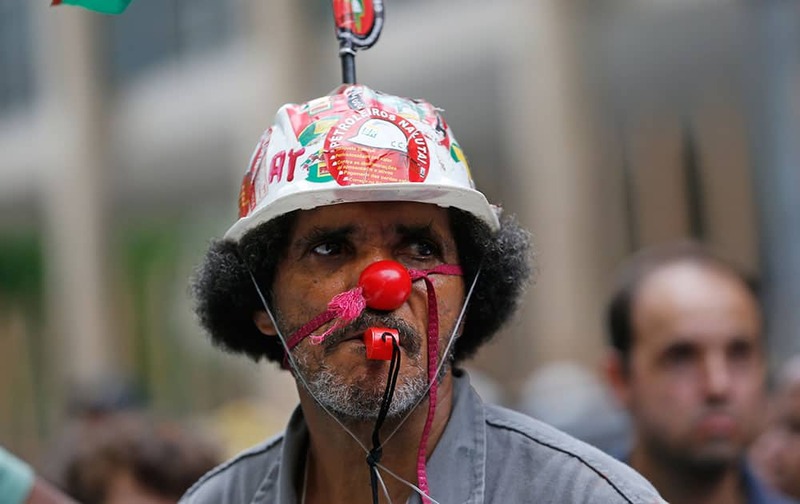 A worker whose company is contracted by Brazil's government-run oil company Petrobras wears a helmet decorated with a sticker that reads in Portuguese "Oil workers fight" to protest corruption and that he hasn't been paid, during a demonstration outside Rio's Justice Labor Court in Rio de Janeiro, Brazil. 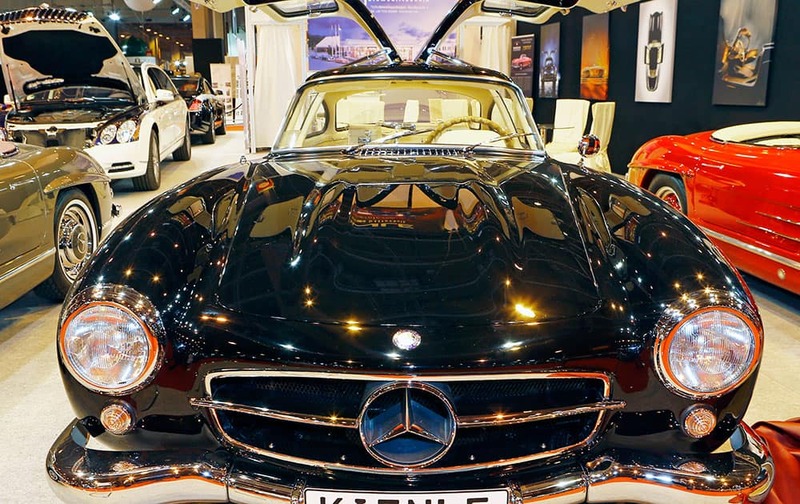 Mercedes Benz 300 SL Coupe Gullwing 1956 is displayed at the Paris Retromobile motor show, a display of vintage cars at Porte de Versailles in Paris. 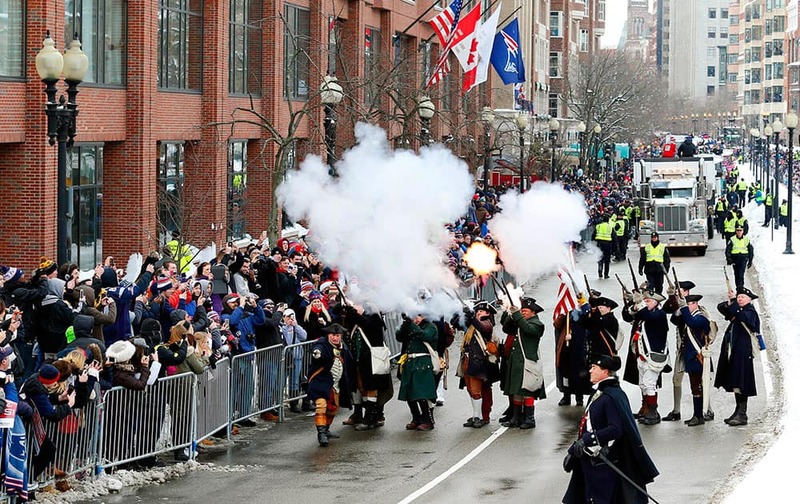 The "End Zone Militia" fire their guns off during a parade in Boston, to honor the New England Patriots victory over the Seattle Seahawks in Super Bowl XLIX in Glendale, Ariz.
Charlotte Martin, a member of the EE British Film Academy staff, poses for photographers with pictures of actors and actresses who are in contention for major BAFTA film awards in the auditorium of the Royal Opera House in London. 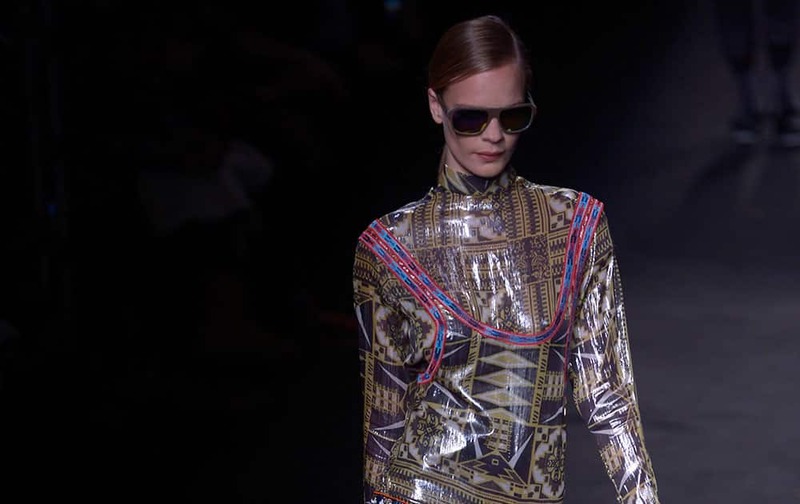 A model wears a creation from "Custo Barcelona" during a 080 Barcelona fashion show. 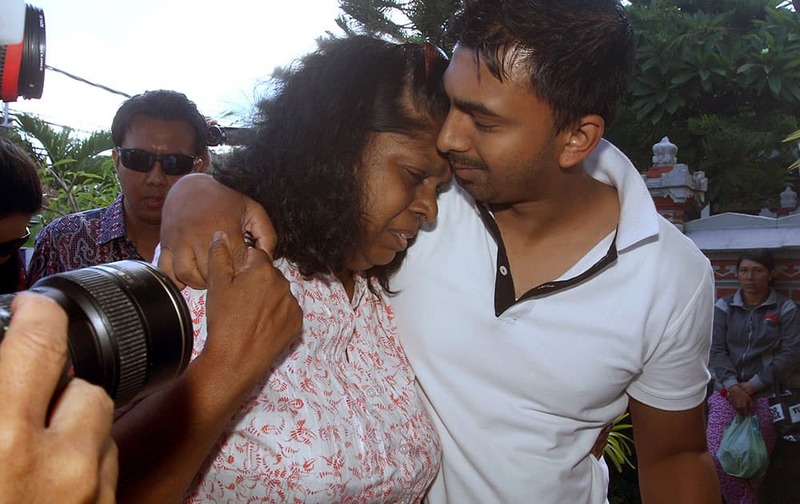 Chintu Sukumaran, right, holds his mother Raji Sukumaran as they arrive at a prison in Denpasar, Bali, Indonesia to meet their family member and death-row prisoner Myuran Sukumaran. 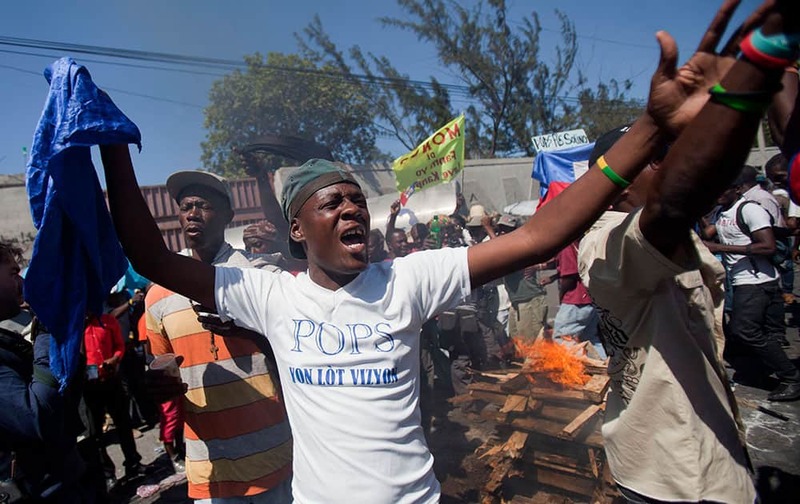 Demonstrators use wood, gas, fire and salt to call forth a spirit to ask for protection during a voodoo ceremony before the start of a protest demanding the resignation of President Michel Martelly in Port-au-Prince, Haiti.